Just like us humans, some bathroom products are smarter than others. If you're looking to bring your bathroom up to date with the latest technology then allow our experts to laser-guide you to the smartest products. Posted By Alan, 22nd Mar 2019. 7 Minute Read. No matter which room you choose to revamp in your home you’ll find a whole host of smart technology, clever gadgets and genius gizmos to make life easier and more enjoyable; and the bathroom is no exception. Whether you’re after futuristic bathroom furniture, a techy toilet or a complete smart bathroom suite there is something out there for you. With so many products in the marketplace it can sometimes seem like a tall order trying to find the perfect smart products for your bathroom. So the experts here at Victorian Plumbing have hunted high and low and discovered 8 of the smartest ways to upgrade your bathroom. I know what you’re thinking, how can a toilet be smart? Right? Well, it’s crazy, but it’s true, smart toilets are a thing and if you take a look at Japanese toilets, also known as shower toilets, then you’ll be amazed by what they can do. 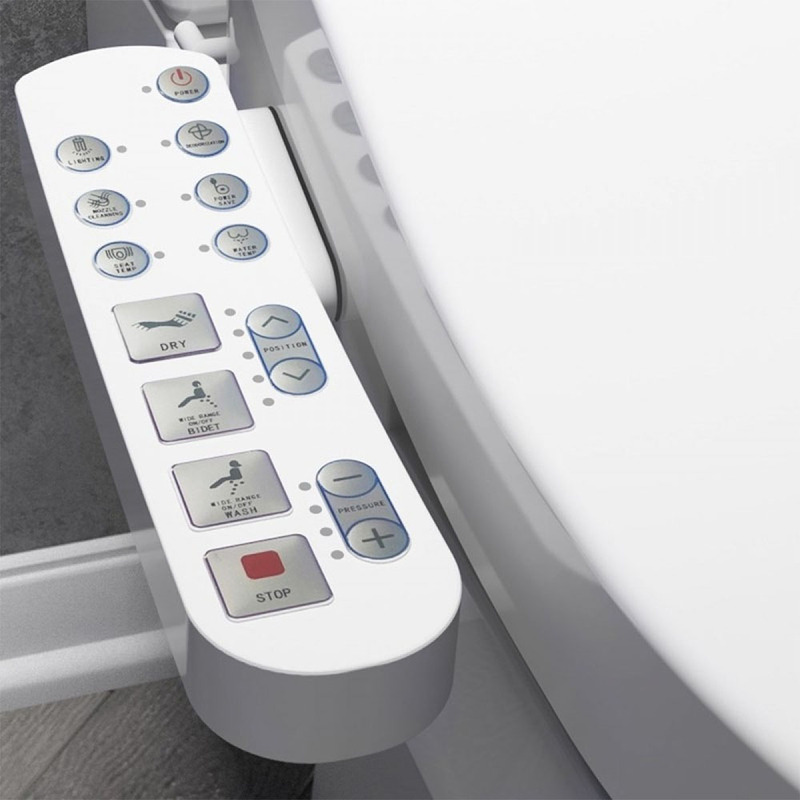 Japanese toilets and Japanese style toilet seats take bathroom technology to a whole new level. They’re packed with fancy functions to make sure each visit to the loo is luxurious; leaving you feeling fresh and clean. One great feature from GROHE is the Infrared user detection system on their Sensia Arena shower toilet. Upon approaching this smart toilet it will automatically lift the seat and when you walk away it will automatically close it after you have finished. If you’re looking for a shower toilet that can save energy then take a look at the AquaClean Mera Comfort Shower WC from Geberit. It comes fully loaded with all the best features including a highly efficient energy-saving mode. 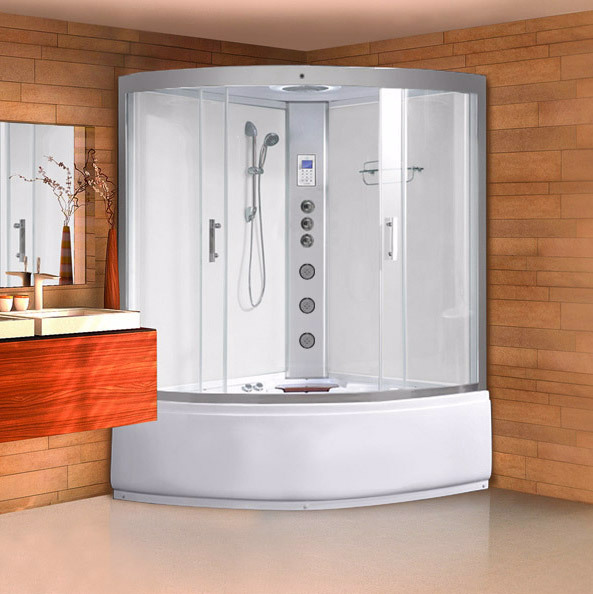 Bathrooms, wet rooms and en suites can all be given a performance boost with a smart shower! Modern showers are currently one of the most advanced pieces of kit within bathroom products and they offer a truly amazing experience every time you use them. Not to be confused with digital showers - although they're smart too, these thermostatic smart showers offer a variety of luxury settings and shower modes to ensure each user is given their own personal experience of shower bliss! 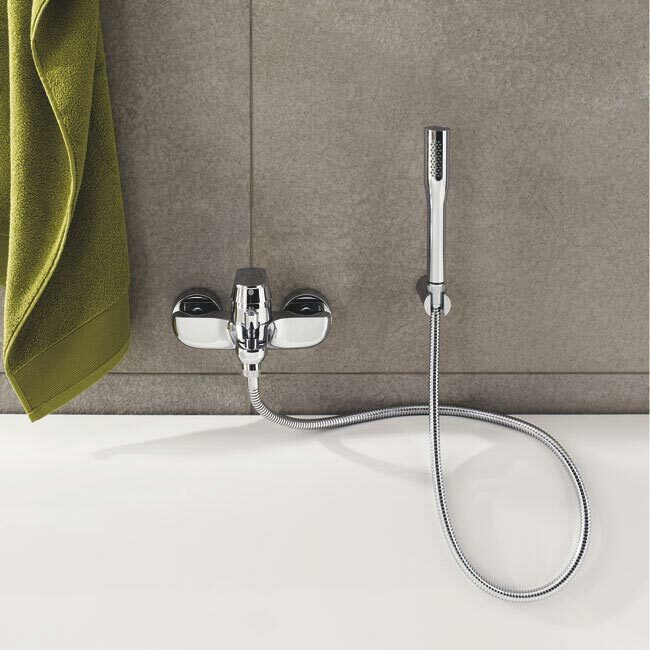 The GROHE Euphoria SmartControl range of smart showers such as the model 310 DUO (pictured above) come brimming with clever features and functionality. The clever SmartControl technology allows to fully control the flow of water through various heads and in a range of majestic spray patterns. Smart showers not only create a spa like experience, they also offer incredible comfort and safety. They come with water temperature management features to ensure water temperature is kept consistent, prevent those cold moments, as well as anti-scald features which cut off water should it become to hot. When it comes to bathroom furniture technology there isn’t a great deal of tall boys with touchscreens or vanity units which play videos, but there are some awesome designs which look ultra-modern and sleek. It means they’d look perfect when combined with smart bathroom technology. When you’re looking for ultra-modern bathroom furniture, keep an eye out for handless furniture; which tends to create a more clean finish, and consider an anti-bacterial coating; like that of the Bauhaus Svelte unit (pictured above). The colour of your bathroom furniture will also play a vital role in how modern it looks. 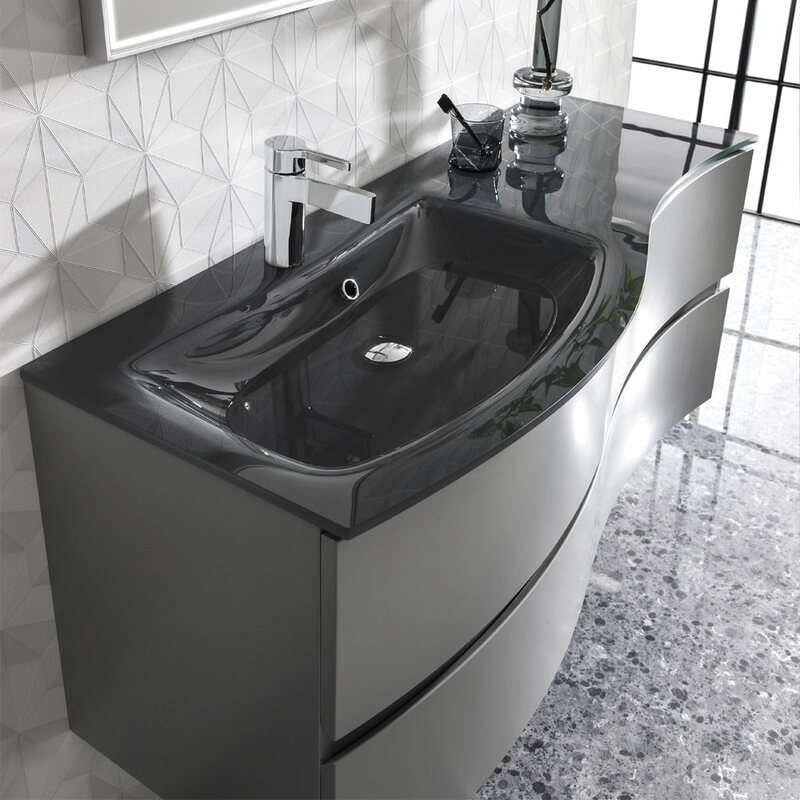 Black ceramic basins are becoming even more popular now with the rise in demand for grey bathroom furniture; and both colours combined creates a truly stunning feature in any setting. When it comes to smart bathroom upgrades none tend to relax the mind and body like the thought of bath. Smart baths on the other hand are really one extra step into the realm of relaxation; especially when they feature a whirlpool system. These baths may not come with lots of smart functions, but when you’re looking to create a smart bathroom, your bath shouldn’t just be a tub that holds water. Whirlpool baths, also known as Jacuzzi baths, feature water jets which are positioned in such a way that they relax tired muscles and stimulate blood circulation and metabolism. This not only leaves you feeling like brand new after a tough day, but it can also improve your health and well-being too! For a smart, modern bathroom upgrade with a total spa-like effect, you just have to consider a shower cabin. They feature so many smart features that we’d be here all day just listing them, but if the idea of a relaxing and revitalising shower appeals to you then definitely check them out. If a Jacuzzi bath is sitting in a thought bubble above your head, then before you go running to order yours, make sure you check out a smart shower cabin first. The AquaLusso Alto ST (pictured above) features a whirlpool bath inside so you can literally have the best of both worlds. If it’s a shower you prefer, the monsoon shower head fixed to the roof of the cabin will rejuvenate and relax you; all controlled from a stylish electronic control pad. And, with its built in audio system with FM Radio and MP3 input you’ll never be short of entertainment!! Another bathroom essential which you may not expect to have smart technology inside is bathroom mirrors. In actual fact, there are quite a lot of smart bathroom mirrors which that cover a wide range of styles and functionality. 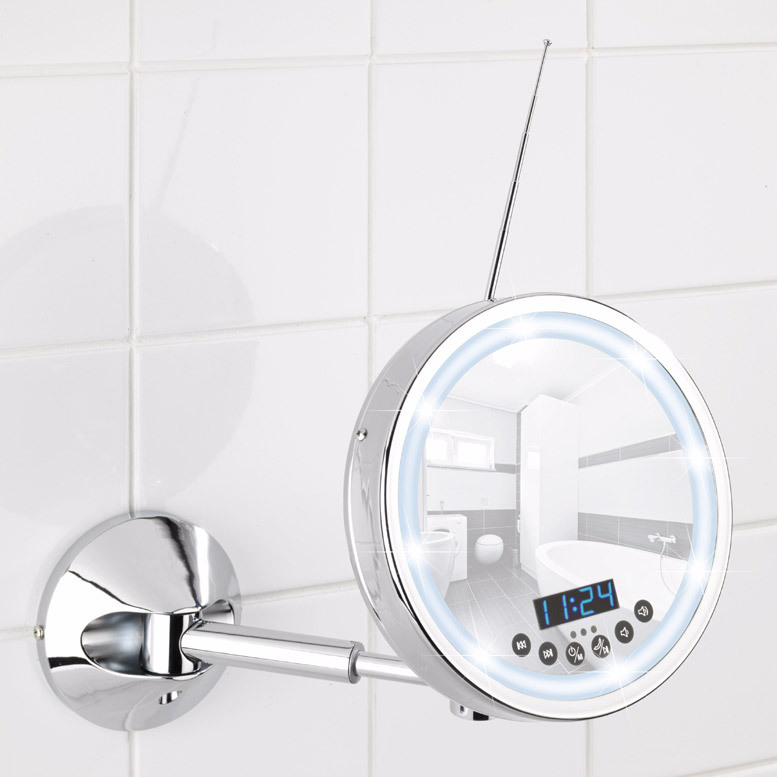 Many bathroom mirror cabinets feature LED lighting and some feature useful sockets for shavers and electric toothbrushes, but did you know that some have Bluetooth connectivity? This means that you can play music through it from your smartphone and listen to your favourite songs or audio whilst you get ready. The Wenko Imperial Bluetooth LED wall mounted cosmetic mirror (pictured above) features a 3x magnifying mirror to help you see every little detail. The smart side of this mirror is its multimedia capability with a USB port and Bluetooth connectivity which allows you to play your favourite music and audio. It also features radio functionality for when you’d rather somebody else be the DJ! Another smart feature on this bathroom mirror is its motion sensor; which detects your approach and automatically switches on the light so you don’t have too! As we said earlier, there are many items in the home which are considered smart, but did you know that some bath shower mixers are smart too? Some come with smart safety features such as anti-scald settings whilst others come with automatic switching from bath to shower. One of the smartest bath shower mixers is the GROHE Eurosmart Cosmopolitan. 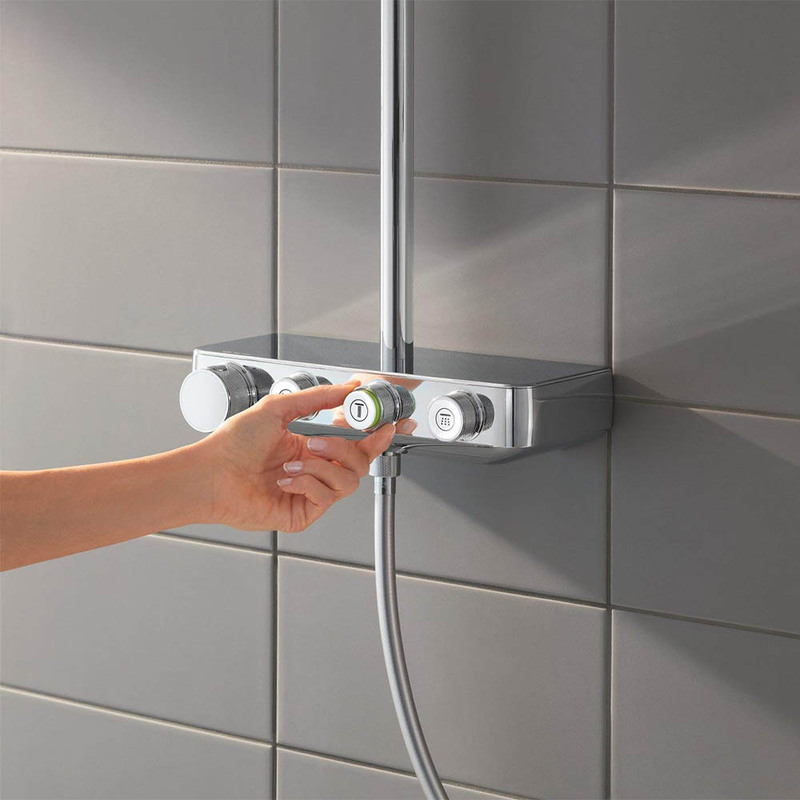 It comes with everything you’d expect from a smart bath shower mixer including anti-scald and automatic switching from bath to shower function, AquaDimmer. As it’s a GROHE bath shower mixer, you also find plenty more smart technology including the popular GROHE SilkMove®technology for smoother handling and much more precise water flow control. So we’ve covered pretty much every aspect of smart bathrooms so far, but there is one last thing we’d like to mention - smart bathroom accessories. One of the smartest accessories for bathrooms, in terms of technology and style, has to be soap dispensers. Soap bars are great, don’t get me wrong, and there are lots of stylish soap dishes around, but if you’re looking to upgrade your bathroom into a smart bathroom then a smart soap dispenser is definitely the way to go. The stunning liquid sensor pump soap dispenser in gorgeous rose gold steel by simplehuman would really finish off your smart bathroom perfectly. It’s super-hygienic so it helps keep your family safe and it’s rechargeable too, so you’ll never run out of batteries. This particular model also comes in a range of colours to suit your bathroom’s style including polished steel, brushed steel and brushed nickel. We hope you’ve enjoyed reading through all of these smart bathroom ideas and hopefully taken some inspiration from them. As with all of our blogs we’d love to hear what you think and any suggestions. 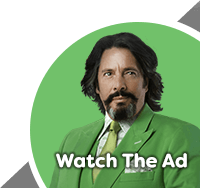 Do you know a tech lover? Share this article with them if you think they’ll find it helpful! !